This program has one simple purpose, to find all geocaches surrounding where you are. 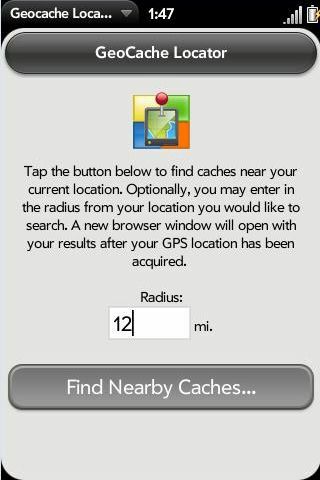 It uses the phone's GPS to send your location information to geocaching.com, which then outputs the list of local geocaches and their information. Currently, it opens in a browser window, but future plans are to have all of the information be accessible directly from the app, as well as integrating with a digital compass to help geocachers find what they are looking for! This app brought to you by raleigh web designers Ludex Marketing.